For all the video game industry’s noisy hype about groundbreaking technology, it’s still rare that a device comes along and actually breaks new ground. In just nine months, the Nintendo Switch has done just that. The world of games feels different now than it did one year ago. In the summer of 2016, the Switch, then code-named “NX,” was a tantalizing mystery. In the fall of 2017, it’s as familiar as an old friend. It was a speedy ride from then to now: the midsummer reports claiming the NX would be a hybrid portable/set-top console, followed by Nintendo’s official unveiling in October, to the Switch launch in March of 2017. 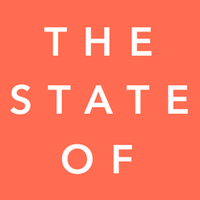 This is part of our 2017 State Of series, a look at how the major consoles, PC, and other areas of interest are doing this year. It’s been a bit more than six months, and time has indeed told: Nintendo’s gamble paid off. The Switch is one of the most involved pieces of gaming hardware you can buy. Far from the competition’s staid boxes, this console can be slotted, ejected, dismantled, and propped up on a kickstand to achieve all manner of configurations. It’s a beguiling device, if also one with an unusual number of breakable moving parts. I use my Switch every day, and have enough fun doing so that it’s become easy for me to overlook the hardware’s lingering issues and shortcomings. They’re still there, of course. There’s no support for bluetooth headsets, for example. The stand on the back of the system is flimsy and holds the screen at an awkward angle. The charging port below the screen makes it impossible to stand the screen up while the Switch is plugged in. The Joy-Con thumbsticks are a little too short and flippy. It’s ridiculous that the Joy-Con grip Nintendo includes with the console doesn’t charge the mini-controllers. The Switch suffered from one widespread hardware issue at launch: The left Joy Con of a lot of the launch systems wasn’t reliable, leading many Zelda players to see Link go merrily running off cliffs out of their control. It became a real drag in later months when it came time to compete in Splatoon 2 or get the most out of Mario Odyssey’s motion controls. Nintendo quickly copped to the issue, describing it in perfectly Nintendo-ian language as a “Manufacturing Variation.” The problem was wireless interference, and Nintendo started fixing it by inserting conductive foam into the left Joy Con. It replaced faulty controllers swiftly; a repair subcontractor turned mine around in a matter of days. It also promised in March that all future left Joy-Con would not have the same problem. The eminently accessorizable Switch seems destined for countless first- and third-party accessories, as well as a rainbow of themed Joy-Con colors. It’s already got a bunch of different possible Joy-Con combinations, and Nintendo has wisely released them in configurations that let you mix and match to get your own look. The high price of first-party accessories remains onerous, particularly given that some—a carrying case ($30), an SD card ($80 $30-40 for 128GB), an ethernet adapter ($30), one of those fabulous Pro Controllers ($70)—feel like essential purchases. Those additional costs add up. The licensed Hori Splatoon 2 chat rig, which is more or less what you need if you want to hear the game and chat audio through the same headset. Set aside the accessories and remove the Switch from its dock, and you’ve got a fine handheld gaming device. It feels good in your hands, even if the buttons and thumbsticks are a little small. You can play two-player games on the go using one Joy-Con apiece on the same screen. The big, bright screen is easy to see on the bus or on a plane, though its size might make you feel a touch ostentatious about using it in public. Nintendo has done little to enhance the bare-bones Switch software since March. It still looks like a plain phone operating system, with little of the playful zest Nintendo exhibited in the 3DS and Wii U operating systems. However, Switch OS is snappy, which makes it simple to access and play games. If a video game console must prioritize one thing, let it be that. Every so often, Nintendo’s whimsy will shimmer briefly to the surface. Maybe it’s a whistle sound effect in a menu, or a kicky riff as the eShop opens, or a silly interface for adding text to your screenshots before posting them to social media. That hard-to-quantify Nintendo fun is in there, it’s just significantly quieter than in the past. Nintendo has pushed out a number of small OS updates throughout the year, the largest of which added functional if slightly disappointing support for video capture on select games, but we’ve yet to see anything along the lines of StreetPass, the Miiverse, or any of Nintendo’s other weirdo ideas from throughout the years. But hey, at least Friend Codes have persisted. The Switch software is lacking more than just personality; it’s missing a few crucial features. Particularly baffling (and worrying!) is the lack of saved game backups. It was alarming enough that the console launched without the feature; that it would still lack it nine months later is boggling. The more hours I sink into Breath of the Wild, Skyrim, and Stardew Valley on Switch, the more nervous I get that a single hardware malfunction or spilled cup of coffee could make it all go away. Nintendo added profile transfers in October, and it seems all but certain that save backups will come sometime soon. Cold comfort to those who’ve already lost their saves, and something that should’ve been there at launch. Nintendo’s Switch paid online service was originally meant to launch this fall. It was a weird announcement, though, as Nintendo initially described a service with a monthly fee that gave access to online gaming along with one NES or SNES game, then revoked access to the game at the end of the month. Several months later in June, it seemed to change course to a $20/year subscription service that gave members access to a library of classic games with no worry of time running out. That service was pushed back to 2018, a rare delay in a year where Nintendo hit all the rest of their marks uncharacteristically on time. That meant that the rest of us got to play Splatoon 2 online for free all year, even if we have to wait to check out that subscription library of classic games. Given how comically convoluted Splatoon 2’s online implementation has been, exacerbated by Nintendo’s decision to run the Switch’s online functionality through a phone app, the rest of Switch’s paid online service may wind up disappointing or flummoxing in some way. Given how charming the now defunct Miiverse social network turned out, it may also wind up exploring bold, weird new ideas. The Switch’s game library started out unusually strong thanks to The Legend of Zelda: Breath of the Wild, arguably the greatest console launch-game of all time. With that game (which was also on Wii U) in the rearview mirror, the safe money said Nintendo would lose momentum and have the sort of scattered, dry first year typical of a new gaming console. Instead, Nintendo again bucked tradition. The Switch’s game library steadily expanded all year, with at least one major new exclusive game each month or so, along with a healthy number of high-quality ports of third-party games. Those exclusive games included Mario Kart 8 Deluxe in the spring as well as Arms, an oddball Punch Out!-style fighting game that didn’t match the mass appeal of the rest of the Switch lineup but was still plenty of fun to play. Splatoon 2 landed with a sploosh in the summer, expanding on the terrific ideas introduced by the first game on Wii U. Other exclusive Switch games included the terrific co-op puzzle game Snipperclips, which received a welcome expansion later in the year, the messy but enjoyable Fire Emblem Warriors, Ubisoft’s shockingly good crossover tactics game Mario + Rabbids: Kingdom Battle, and the out-of-nowhere sleeper hit Golf Story. The year closed out with a one-two exclusive combo of the brilliant Super Mario Odyssey along with the less brilliant JRPG Xenoblade Chronicles 2. 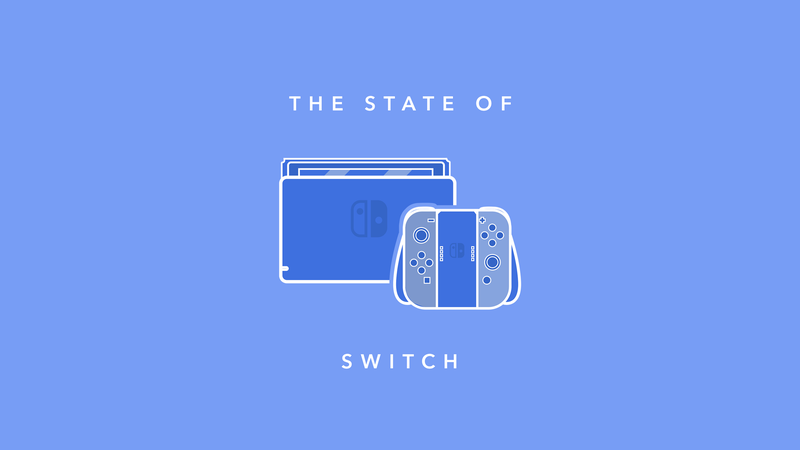 Those games alone would constitute a strong first year for any console, but it was the indie and third-party ports that took the Switch over the top. Multiplatform games like the perfect-for-Switch Stardew Valley, the equally-perfect-for-Switch Steamworld Dig 2, the celebratory Sonic Mania, Thumper, The Binding of Isaac, Overcooked, Shovel Knight, Minecraft, Cave Story+, Disgaea 5 and both Resident Evil Revelations games gave players more than enough to do in between big new exclusives. Publisher Bethesda realized early that the Switch wasn’t just good for indies and smaller games, releasing terrific ports of both Skyrim and Doom 2016 near the end of the year. Both of those games are fun enough to play on a handheld that it seems only a matter of time before other publishers decide to bring over their existing games. I can’t wait. It wasn’t all wins, of course—several games launched on Switch with significant problems, including Monopoly’s comically long launch load times, WWE2K18’s gnarly visuals, as well as performance issues in games like Mr. Shifty and Overcooked. Most of those games eventually got performance patches. There’s also the matter of the Switch’s missing Virtual Console, and Nintendo’s silence regarding how it will make its legacy games available to buy and own on Switch, if indeed it will at all. It’s possible that the paid subscription service will replace the Virtual Console altogether, and that Nintendo will shift its focus to yearly refreshes of standalone micro-consoles like the NES and SNES classic. But with the Switch’s detachable controllers and hybrid portability, it seems like a natural fit for rediscovering old Nintendo games. I bought an SNES Classic and have barely used it; I wish I could own those games on Switch! Hopefully Nintendo will share more about their additional Virtual Console plans soon, and hopefully those plans won’t be a disappointment. As my colleague Chris Kohler pointed out last week, the fact that Nintendo didn’t delay any of their 2017 games bodes well for their 2018. We know about a few games that are coming out, notably a port of Bayonetta 1 and 2 in February (be still my heart), along with Bayonetta 3 coming at some undetermined date in the future. Nintendo is working on new Yoshi and Kirby games for 2018, along with a mainline Switch Pokémon and their E3 shocker Metroid Prime 4, both likely for a bit further down the road. Next year there’ll also be a new Valkyria Chronicles, the promising-looking JRPG Octopath Traveler, Tokyo RPG Factory’s Lost Sphear, and doubtless an ever-growing number of indie ports and big-budget remasters of games from the last few years. Add in that subscription-based classic Nintendo library and whatever other Wii U games Nintendo and other publishers decide to port up, and it seems likely that the biggest issue most Switch owners will face by the end of 2018 will be clearing out space on their SD cards for their overflowing game libraries. That’ll be especially true considering that some physical Switch carts require significant additional downloads before they’ll run. Storage space is going to become a real problem for Switch owners in years to come, if it hasn’t already. For those who, like me, bought a Wii U at launch and regretted their decision within a year, the rising tide of quality Switch games has been lovely. That being said, I’m as cognizant as ever of the fact that Nintendo is smilingly asking its fans to re-buy Wii U games like Mario Kart 8 and Bayonetta 1 & 2, games they may have paid full price for just a few years ago. Fans generally haven’t seemed to mind, and it would appear that the appeal of a mobile version of those games softens the sting of having to shell out for them again. The fact remains that come February, I’ll have spent $110 on Bayonetta 2 within the space of a couple years. I curate our list of “The 12 Best Switch Games,” and the substitution decisions our staff has been debating nine months into the console’s lifespan are as difficult as the ones we were debating during the PS4 and Xbox One’s second or third years. A game console is only as good as the games you can play on it, and on that count, the Switch is already an undeniable success. The Nintendo Switch had an outstanding 2017, and even just based on the upcoming games that we know about, seems set to have a strong 2018 as well. In just nine months, I’ve changed my recommendation from “wait and see” to an enthusiastic “go for it.” Every now and then I’ll be talking with someone who hasn’t played video games in a while, and they’ll ask me which console they should get if they want to get back into games. A year ago, I would have told them without hesitation to get a PS4. Nowadays, I tell them to look at the Switch first. It would, however, be a mistake to assume that Nintendo has completely settled whatever institutional indigestion it is that leads them to make the kinds of baffling decisions for which they’ve earned a reputation over the years. Splatoon 2’s convoluted online chat setup raises doubts that the Switch will ever be a viable platform for chat-enabled, non-Nintendo multiplayer games. The subscription online service is a question mark. We still don’t know what Nintendo is planning for Virtual Console, or whether we can expect to see games from old Nintendo systems turning up on the eShop. And the Switch operating system is still missing several crucial features. I would love to believe that Nintendo will continue firing on all cylinders throughout 2018 and beyond, but must allow for the possibility that they’ll completely trip over themselves and screw everything up. The dark ages of the Wii U are over and Nintendo is strong again. We now live in a world with an ascendant Nintendo, and the balance of power has shifted perceptibly. No longer will the console gaming discussion be dominated by a back-and-forth arms race between Sony and Microsoft. A new challenger has shouldered its way into the ring, and seems ready to go toe-to-toe with the mightiest 4K behemoths. Nine months after the Switch came out, it has become essentially impossible to imagine a world without it. There may be no clearer evidence of the exceptional first year that Nintendo’s latest, greatest console has had.